The new James Bond novel "Carte Blanche", written by Jeffery Deaver, is set largely in Cape Town. The book, which was launched in London a couple of days ago, is also set in Serbia, Dubai and London. Asked about why he chose Cape Town for the backdrop of his book, author Jeffery Deaver commented according to Cape Town Tourism "I've been coming to Cape Town for ten years. I love the country. And true to James Bond novels, Cape Town is exotic and beautiful." It is relatively rare for lions to climb trees. Only two populations of lions in world are actually known to be climbing trees as part of their every day behaviour. 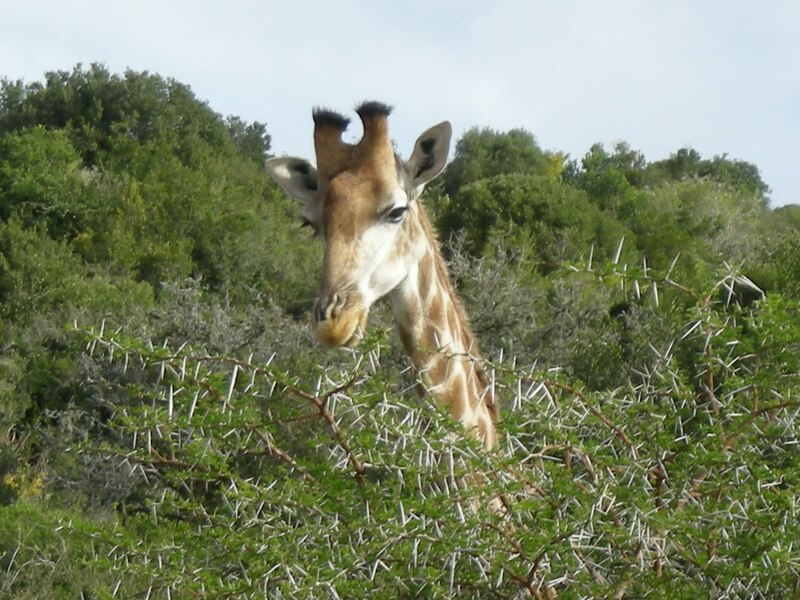 One population can be found in Ishasha which is in the south sector of the Queen Elizabeth National Park in Uganda and the other one is can be found in the Lake Manyara region in Uganda and Southern Tanzania. It is believed that these lions are climbing trees as protection against the biting tsetse flies at ground level or possibly to catch any breeze to stay cool. That the lions of Ishasha are climbing trees appears to be a learnt behaviour and can therefore be seen as a culture trait of these particular lion population. It remains unclear why this behaviour is rare in other lions groups. Kudos @ KipperSarnie for the video footage! The 2011 Sardine Run is expected to begin a little late this year, but not as late as last year when the run only hit the coast around mid-July. News24.com is quoting Natal Sharks Board's chief executive Mike Anderson-Reade saying "We expect it in the next couple of weeks...maybe in the third week of June." The Natal Sharks Board will make control flights later on this week (weather permitting) to see where the fish currently are. Sardine Run 2010 Highlights from Josh Stewart on Vimeo. The Sardine Run is usually taking place every year between June & July along the eastern coastline of South Africa. Also known as the "greatest shoal on Earth" the Sardine Run is a very popular event for tourist and local fisherman alike. The run, containing millions of individual sardines, occurs when a current of cold water heads north from the Agulhas Bank up to Mozambique where it then leaves the coastline and goes further east into the Indian Ocean. Yellow Fever certificates are valid for 10 years, starting 10 days after the date of vaccination. allowed entry, if they have an exemption certifcate due to medical reasons, but are required to report any fever or other symptoms to the health authorities and be placed under surveillance. Are you travelling in the next 2 months and haven't yet booked? Great news - GAP Adventures have a selection of trips currently offered at up to 25%. Please note these trips can change day to day without notice, so don't delay! 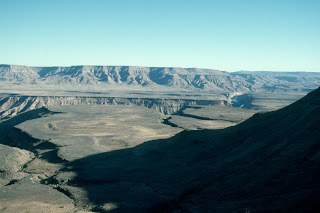 The popular Fish River Canyon hiking trail in Namibia will be reopened effective 03 June 2011. The trail had been closed due to flash floods which presented a danger to hikers. The water levels in the Fish River Canyon have however subsided sufficiently to allow hikers to negotiate the 90 km long African marvel. Please be aware that the Fish River Canyon is a fragile environment and remains subject to flash floods after an exceptional rainy season. Visitors to the Fish River Canyon assume all risks while in the canyon and should come prepared with sufficient water. For more information visit the Namibia Wildlife Resorts website. update (18 July 2011): Lufthansa launched a six-month biofuel trial on regular scheduled flights on Friday (15 July 2011). A Lufthansa Airbus A321 will fly the Hamburg-Frankfurt-Hamburg route four times daily. One of its engines will run on a 50/50 mix of regular fuel and biosynthetic kerosene. Germany's flag carrier Lufthansa was quite optimistic back in November 2010 when Lufthansa Chairman and CEO Wolfgang Mayrhuber presented a biofuel project named "burnFAIR" aimed at underpinning the sustainability of air traffic. The airline's plan was to start using biofuel from April 2011, for a six month trial period, in a 50/50 mix with kerosene on its Hamburg to Frankfurt run. Back in February 2011, Lufthansa had to postpone the project by at least a month because the biofuel was not certified in time by certifying body ASTM International. Lufthansa, which is aiming to become the first airline to operate scheduled passenger flights powered partly by renewable fuel, will now hopefully continue the project anytime from late May 2011. The good news is that the airline has already signed an agreement with Neste Oil, a Finnish oil refining company, for the supply of jet fuel derived from vegetable oil. No it is only up to certifying body ASTM International to let the project start! Fair Trade in Tourism South Africa (FTTSA) hast teamed up with Africa Geographic and the Djuma Vuyatela Lodge to offer your the chance to win a luxury holiday for two! Photographer Roger de la Harpe, of specialist photo stock agency Africa Imagery, was recently shooting pics of lions for his new book in the Tswalu Kalahari Private Game Reserve in South Africa. He needed close up shots of lions and so he placed a GoPro camera in a spot where he knew that lions would pass by. British Airways will launch a "double-daily" service between London-Heathrow and Cape Town from the end of October 2011. The airline will then be carrying about 700 more passengers a week between the two cities, bringing the total number to about 4700 seats a week. British Airways will also start using a larger aircraft, a Boeing B747-400, on the Cape Town route, resulting in a 17.5% increase in the number of available seats. The move by British Airways to double its direct daily flights between Cape Town and London-Heathrow comes shortly after Air France announced last month that it would be starting three direct flights a week between Paris and Cape Town. Seventeen buffalo have been captured in Camdeboo National Park to reduce numbers and maintain the condition of the herd. The buffalo were captured in early May after an aerial census as well as ground counts indicated the population had increased to 75 animals. 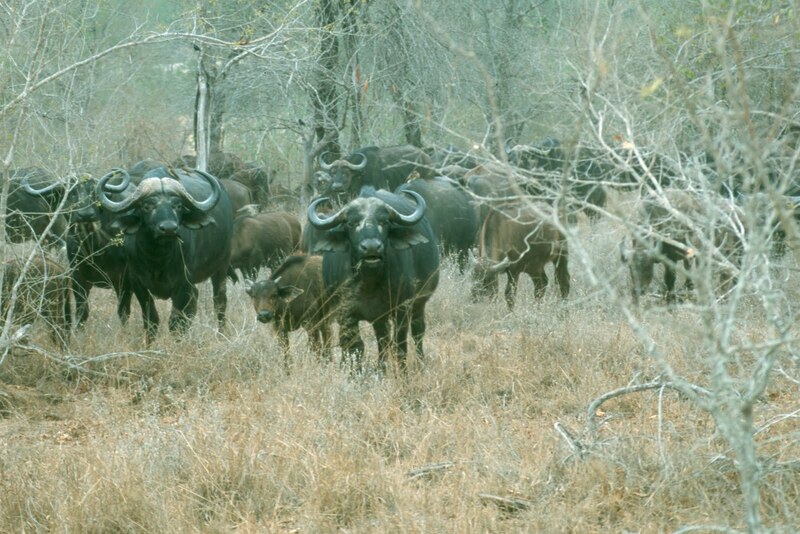 In addition, the recent sustained maximum water level in the Nqweba Dam has led to a reduction in the range of wetland grazing, a favoured habitat of the buffalo. This reduction could cause buffalo to extend their normal range in search of food, particularly towards the end of the winter season. The group of captured buffalo is now being housed in the Park boma's pending the outcome of disease testing, before they can be translocated. Buffalo are tested for a range of diseases including Tuberculosis, Contagious Abortion, Corridor Disease and Foot & Mouth, in order to ensure that these diseases are not spread by animal movement. If certified disease-free, the buffalo will be transferred to the holding facilities in the Addo Elephant National Park, where they will be sold on the Kirkwood Game Auction, set to take place on 2 July. How to safe money in Cape Town!?! Colm Hanratty from Hostelworld.com visited Cape Town last year. Follow him through the Mother City and get to know how to and where to safe some bucks in South Africa's tourism hotspot #1! The East African country of Uganda has changed its entry requirement regarding the passport validity. With effect from June 2011 passports must be valid for at least one year from the proposed date of entry. Single entry visa are valid for three months from the date of issue and cost eg £25 (£65 for six-month multiple entry visa) for UK nationals (in the UK) or US$50 when purchased at the point of entry in Uganda. update II (25 May 2011): According to Eurocontrol, the ash clouds appear to be dissipating quickly due to reduced activity from Iceland's Grimsvötn volcano. Air traffic is therefore expected to be back to normal on 26 May 2011.
update (25 May 2011): According to Eurocontrol, European Organisation for the Safety of Air Navigation, the ash cloud was not expected to affect many of the trans-Atlantic flights because it was mostly north of the usual routes and was not reaching above 35,000 feet. Airliners crossing the Atlantic usually cruise at altitudes above 37,000 feet, where the thin air density reduces fuel burn. Some trans-Atlantic services may suffer “minor delays” though as they have to take longer routes to avoid Iceland. Travellers should however be aware of the situation in Europe which may result in sudden closure of destination airports in Europe, causing flights to be diverted or not leaving in the first place. Please contact your airlines to confirm the status of your flights. Airports Company South Africa (Acsa) confirmed that flights between South Africa and Europe have not been affected by the ash cloud caused by the Grimsvötn volcano in Iceland so far. Ash from a massive plume of smoke from an eruption of Iceland's most active volcano, the Grimsvötn, will spread south to parts of Europe during the week. Airlines, such as British Airways and KLM, already began cancelling flights to, from and in Britain late on Monday (23 May 2011) because of the ash cloud in its airspace, although experts expected no repeat of travel chaos from the eruption of the vulcano Eyjafjallajökull about a year ago. The ash cloud has also swept over western Norway and Denmark, stalling air traffic in parts of Norway and causing delays in Copenhagen, Denmark. More countries will follow and even transatlantic flights are likely to be affected. The UK Civil Aviation Authority said in the meantime that Grimsvötn's ash cloud could affect British-bound transatlantic flights on Thursday or Friday, depending on wind direction. We keep you posted! Germany's flag carrier Lufthansa standardises the baggage rules on all their flights. The new rules apply to all tickets purchased on or after 1 June 2011. In future, passengers especially on intra-European flights and on long-haul flights to Asia, the Middle East and some countries in Africa and South America will have a higher free baggage allowance. For tickets booked before 1 June 2011 the previous baggage allowances, as printed on the ticket, will apply. Under the so-called piece concept, passengers are entitled to check in a specified number of baggage items free of charge, depending on their travel class. Weight restrictions also apply and are graduated according to Economy, Business and First Class. Free 16 page digimag "Travel Namibia extra" out now! The team of Travel Africa, a (printed) magazine covering all kind of travel-related information about the African continent, just published the 4th issue of their online digimag "Travel Namibia extra". 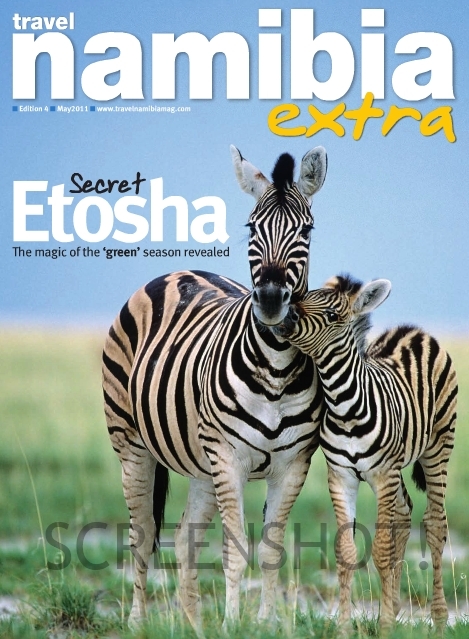 16 pages full of interesting articles about Etosha and surroundings. Kudos to Gecko Publishing! Comair Limited, operator of British Airways in South Africa and kulula.com, confirmed that the imminent commencement of its flights from Lanseria (Johannesburg) to Maputo in Mozambique and to Gaborone in Botswana on 30 May 2011 has been postponed, pending the finalisation of commercial terms with Lanseria International Airport, and a commitment from Lanseria to commence the building of a new runway and upgrade of the airport infrastructure. Comair is now set to commence operations on the Maputo and Gaborone routes from 01 September 2011, and bookings for these new destinations are currently open for sale. Customers that have already booked and paid for their flights on these routes are being contacted and have been provided with the option for a full refund, or to change their flights to a date on or after 01 September 2011. Cape Town's Longstreet is somehow the heart of the city. It is where you can find various shops of all kinds next to restaurants, cafes and clubs, as well as backpackers, lodges, hotels and much more. Longstreet is where locals meet tourist and tourist get to meet Cape Town! Don't miss it out! Kudos to Fifth Corporation for such a great portrait of Longstreet! The Uganda Wildlife Authority (UWA) has lowered gorilla permits during "low season" for local and foreign tourists visiting their National Parks to see the famous mountain gorilla. Foreign tourists will now pay USD$350(75) instead of USD$500(25) during the month of October, November, March, April & May. Through lowering the fees the Uganda Wildlife Authority is targeting to increase the sale of the permits from an average of 70% to 100% during low tourism seasons. About 64 gorilla permits are available for sale daily and the viewing of the mountain gorillas is restricted to 6-8 people per day per family. The number of daily permits will be raised to 80 per day as soon as two new families of the primates are set to join six others late this year in Bwindi Forest. The animals, in a group of 10-15, are currently undergoing habituation to adapt to human presence in the forest. The total world population of mountain gorillas is currently 786 individuals (Dec 2010). Bwindi Impenetrable National Park in Uganda is believed to be home to at least 302 mountain gorillas, while another 480 mountain gorillas were counted in in the Virunga Massif, which includes three contiguous national parks: Parc National des Virunga in the DR Congo, Volcanoes National Park in Rwanda and Mgahinga Gorilla National Park in Uganda. The remaining four (orphaned) mountain gorillas are in a sanctuary in DR Congo. Justin Bonello's Puff Pastry Egg Bomb breakfast is not a typical Southern African dish and therefore probably not a dish travellers in South Africa might have come a long, but it is such a great and easy recipe that it will hopefully find its way into many self-catering kitchens in hostels and lodges, and, of course, into kitchens back home. Enjoy! Puff Pastry Egg Bomb from Cooked in Africa on Vimeo. Justin Bonello is a South African filmmaker, chef and television personality best known for starring in his own cooking and travel show, Cooked, since 2006. The video in this blogpost is a clip taken out of one the Lesotho episodes of Cooked. 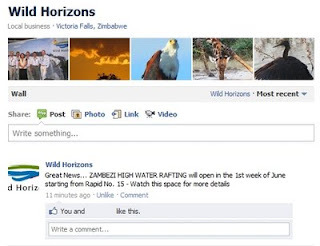 Wild Horizons, a tour operator situated in Victoria Falls, Zimbabwe, just posted on their facebook page that the Zambezi High Water Rafting season will open in the first week of July 2011 starting from Rapid 15. We'll keep you posted! update (08 Sept 2011): The Silo 1 open car park located at the Clock Tower Precinct has been closed. Pls use parking at Clock Tower Shopping Centre, Portswood, Ulundi, Granger Bay, Victoria Wharf Shopping Centre and Breakwater Parking Garage. Pls also note that the bus drop off opposite the I&J Building is closed since 07 September 2011, and that from today (08 Sept 2011) tour buses will need to drop off passengers inside the parking area. The Clock Tower Precinct at the V&A Waterfront in Cape Town is currently undergoing a redevelopment. The structure of the existing Clock Tower building will be retained to a large extent. Internal space will be remodelled to create a total of 5 465m² of office space and 2 352m² of restaurant and retail space. The revamping strategy will see the precinct evolve into a vibrant hub of activity, fusing heritage, shopping, restaurants, arts, culture and business in a spectacular harbour environment. During this stage of the development, all roads, access and drop-off points will also be operational as usual. update (25 May 2011): Bulawayo24 is reporting that Air Zimbabwe and Zambezi Airlines have reached an amicable agreement, so that Zimbabwe's flag carrier's affected routes are now operational again - regional, domestic and overseas flights have resumed. update (23 May 2011): Air Zimbabwe sole functional plane, a Xian MA60, which developed problems with its aircraft clock and is therefore actually not functional, will only return to service once Air Zimbabwe had secured spare parts from China. Zimbabwe's flag carrier Air Zimbabwe had to cancel all of its regional flights after Zambia-based Zambezi Airlines took back a leased plane over a $460000 unpaid debt. The Civil Aviation Authority of Zimbabwe (CAAZ) has also declared the national carrier's three Boeing 737 planes, which have reached a certain limit of 34000 cycles or trips, too old to continue in service. According to sources, CAAZ declared the three airplanes therefore a "public danger". The airline's three Chinese-made Xian MA60 are also not out of order. The sole functional plane failed to take off yesterday (18 May 2011), while the other two are currently unusable - one was damaged after a runway incident with warthogs last year and the other was simply declared "unusable". The carrier's two Boeing 767 servicing the Harare <> China and Harare <> London routes are also grounded because Air Zimbabwe has been unable to meet the cost of fuel. Air Zimbabwe was also suspended by the International Air Transport Association (Iata) over a $280 000 debt. Brussels Airlines offers 10% "gorilla rebate"
20% off Intrepid Trips - It's May Madness! Launch issue of "Safari" digimag out now!